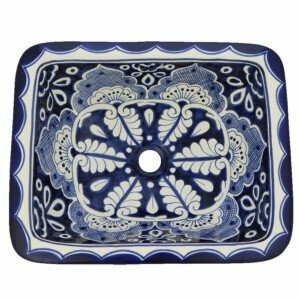 Pavo 2 Mexican Bathroom Ceramic Rectangle Talavera Handmade Drop-In Sink will help you to create warm and modern environments. 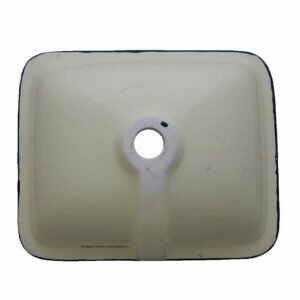 Pavo 2 Mexican Rectangle sink Bathroom wash basin will help you create warm and modern environments. You can add this beautiful design to your bathroom and make it a unique, special, comfortable, and elegant space different from any other. 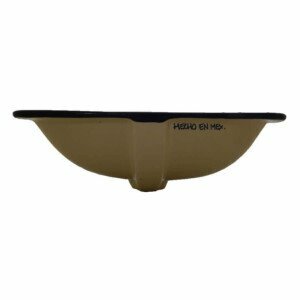 Find the perfect piece that will add just that right touch to your bathroom with this Pavo 2 Mexican Rectangle sink Bathroom wash basin, furthermore, this sink will add shine and contrast to the place. 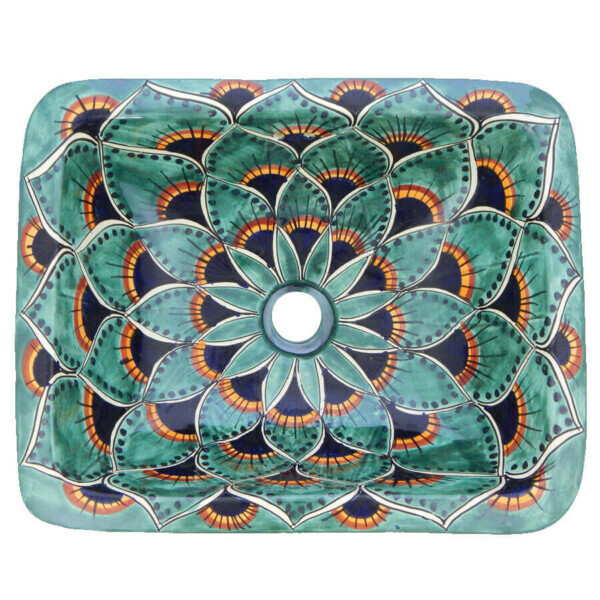 Don’t miss the great opportunity to have this Pavo 2 Mexican Rectangle sink Bathroom wash basin in your home and create a great place full of color. 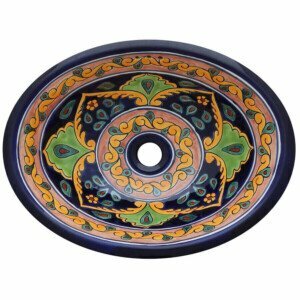 If you don’t have this piece yet, don’t miss the opportunity to buy it and customize your home, as a result, your family will enjoy the vibrant colors of this unique piece in your bathroom. Most important, We count with great artisans that are masters of their craft that can create beautiful pieces that will bring that special touch to your decoration. The colors that are part of the sink are washed green, cobalt blue, washed yellow. 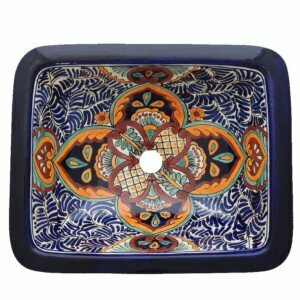 Our Mexican rectangle Bathroom Ceramic sinks are handmade and hand painted by the best artisans, our products are 100% Mexican, they are made of the best quality, get to know us and discover the best of our handmade Mexican decorative items, furthermore, the satisfaction of our customers is always something we look for in every purchase, and we work every day to provide an excellent customer service. 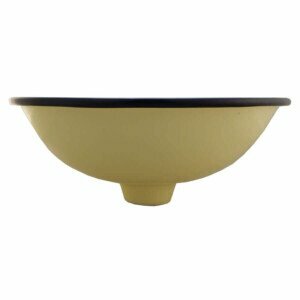 Due to the handmade process, these may present variations in color, size, and design. 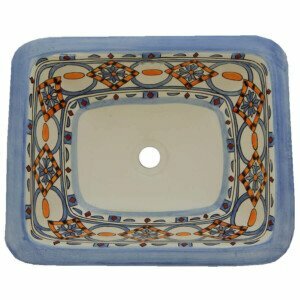 Master artisans hand-painted each of our sinks. In conclusion, the Mexican Sinks from TILES and TILES will help you to create a unique and comfortable living spaces.